In our last post we talked about snowblowing contracts at a very basic level. This post is going to provide a typical list of Snow Blowing Contract Terms and Conditions. Many companies will ask you the consumer to sign. In our opinion it is one sided and protects the contractor and not the consumer to any great extent. You have to depend on these guys wanting to maintain their reputation. If all of your neighbors are going with this contractor, then you wield some negotiating power. If there are problems, your neighbors may be able to help. 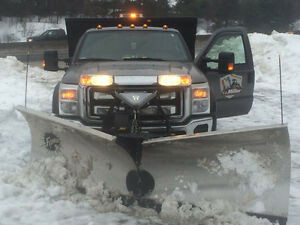 The contractor, company name, will not be working if a snowfall does not exceed 5 cm of snow on the ground. The minimum of 5 cm of snow must be from the same snowfall. The contractor, company name, is not responsible to clean snowdrifts caused by winds. If the client requires it, it will be at an additional cost. This contract is valid up to 250 cm per season. If the winter season where to exceed 250 cm in snowfall; a new contract would be applied or pay per visit option would be available. If the client wishes to have work done with less than 5 cm on the ground, the client will be charged $65 upon the visit. Your Driveway and Walk Way? During a snowfall, the contractor cleans the driveway and walkway. Once the snowfall is completed the contractor will return to clean the snow bank at the bottom of the driveway caused by the city plows. If there is an accumulation of more than 5 cm of snow on the driveway and walkway upon his return the contractor will clean once again the driveway and walkway. The contractor is not responsible for any damages done to any objects left on the driveway or walkway during the snow clearing. These include extension cords, Christmas lights, hoses, downspouts connected to ease through and other material hidden under the snow. 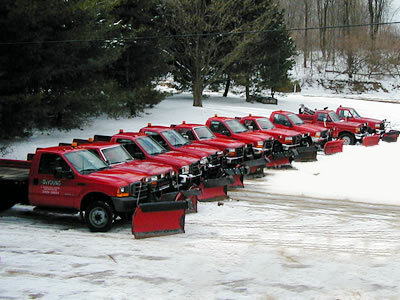 Our tractors that service our customers are fitted with Teflon blades on the snowblowers. The operators of the tractor do their best to not scratch the surface of the driveway. But there is no guarantee that this could not possibly occur. As a result they are not responsible for any scratches done to paved interlock or asphalt. During the length of the contract any trees, shrubs or other object that is in the front area of the property must be protected as a snow cleared from the driveway will be placed in that area by the contractor. The contractor only remove the snow from the driveway and walkway. Other work asked by the client will be at an additional cost. The contractor will not be working on Christmas Day or on New Year’s Day. Client signature is required indicating that he/she understands the terms and conditions.